Ms.Taylor had earlier visited Jaffna and Vavuniya. She said that she is to visit Batticaloa and Amparai district after Trincomalee. While on the media familiarization tour she has also been visiting projects launched in the NorthEast province by the US Agency for International Development (USAID), sources said. 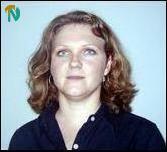 Ms. Taylor assumed duties as the Assistant Public Affairs Officer at US Embassy in Colombo in April 2003. She earned B.A. in Anthropology from Dartmouth College in Hanover, New Hampshire, sources said.